Chronic hunger is increasing around the world and food crises are spreading and intensifying. 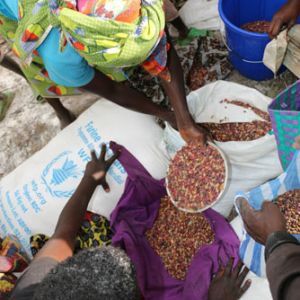 A new report by the United Nations World Food Programme (WFP), World Food Assistance: Preventing Food Crises, examines these crises, asking what causes them to break out, what determines their scale and how they might be prevented. Among the most telling findings of the report is the huge amount of money in food assistance costs that could be saved by the taking of preventative action. An end to violent conflict – one of the main drivers of hunger – could reduce food assistance costs by up to 50 percent per annum. If the world were to come to grips with all the causes of food crisis – not just conflict but climate shocks, chronic hunger and malnutrition, poorly functioning food systems, and flawed political, social and economic structures – WFP’s annual food assistance expenditure would be more than $5 billion lower. In other words, there would be virtually no need for food assistance and the money saved could be spent on longer-term developmental initiatives to improve the lives of the most vulnerable.